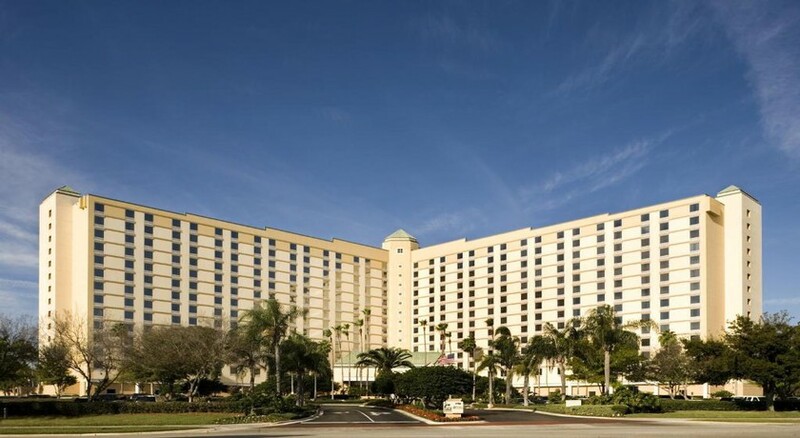 Providing comfortable accommodation with a transfer service offered to the main theme parks, the Rosen Plaza Hotel is one of the most popular places to stay in Orlando, Florida. The resort features no less than four on-site dining options and is close to the most popular places to visit including Walt Disney World, SeaWorld and Universal Studios. It offers a close location to Orlando International Airport too. Couples and children are suited to this accommodation, since it offers rooms which can sleep up to four people, a range of on-site amenities including a swimming pool and pets are allowed. 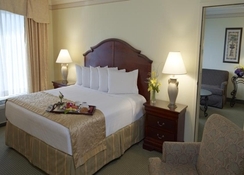 The Rosen Plaza hotel is well suited if you want to enjoy a day exploring the Orlando theme parks and relaxing at night. 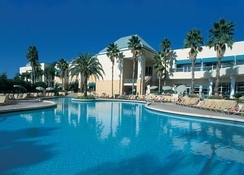 The Rosen Plaza Hotel is on International Drive so you are close to all the action that Orlando has to offer. It is near to major attractions such as SeaWorld (1.6 miles), Universal Studios (3 miles), Walt Disney World (6.7 miles) and Disney’s Animal Kingdom (8.8 miles). The Orlando International Airport is 9.9 miles away and the hotel offers a shuttle service. The nearest golf course is only 5 minutes away. You will find five different room types here. Standard Rooms feature two double beds, the Executive King Suite has a separate seating area and better views, the Presidential Suite is 1000 square-feet and has its own bar while the Plaza Suite has 330 square-feet of living space and additional bathroom. Finally, the Junior Suite provides a separate living area with desk, sofa and chaise. All the rooms and suites come with Wi-Fi and there are accessibility rooms available too. 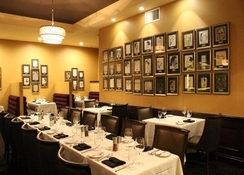 There are four on-site dining options at the Rosen Plaza Hotel. 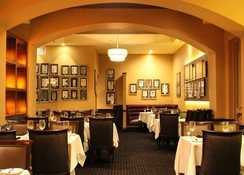 Jack’s Place is a modern steakhouse and is open from 5pm, Café Matisse offers a buffet and a la carte menu and is available for breakfast, lunch and dinner. The Lite Bite Express is for snacks while there is a poolside bar and grill as well. There is also a lobby bar and options for in-room dining. The property has a range of amenities such as a swimming pool and fitness centre. 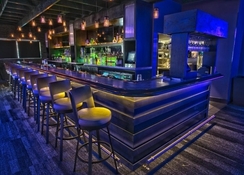 3Nine is at the hotel as well which is an upscale spot with live music, dancefloor and bar by the pool. Golfers can visit Shingle Creek which is only 2.8 miles from the Rosen Plaza Hotel not to mention the fact that the property is on International Drive which offers an abundance of entertainment options.